Get Outstanding Reliability, Instant Notifications with Quick and Accurate Vehicle Location. Get Nationwide Coverage and Easy Self-installation. The LOWEST price GPS tracking unit on the market today! Competing GPS vehicle tracking devices start at $299 + $9.99/month fees...That's over $700 for three years of service! With our 3 year pre-paid plan and FREE tracking device, your total cost is LESS THAN $270! 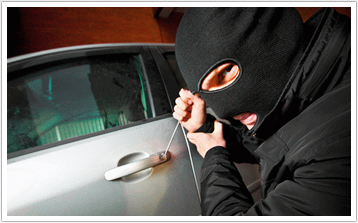 Protect your vehicle against theft. Take back control. And get peace of mind. Don't wait until your vehicle is stolen. Get the protection you need today! "We have the GPS Guardian installed on our boat that we store at the Colorado River in Arizona. This tracking system give us a tremendous amount of peace of mind, especially since we are leaving it there for months at a time. The geofence perimeter feature is incredible! It's great knowing that if someone steals it, the police could get it back fast since it can be tracked anytime and I can even track it on my Smartphone. I couldn’t imagine not having one of these to protect my boat and highly recommend it for anyone that owns watercraft or even vehicles that they want to protect!" "Having the GPS Guardian on my dirt bikes gives us the peace of mind we need when we are out riding in the desert. There are always people getting their stuff stolen out in the desert and I would never be able to replace my toys if that happened! This product is awesome and so simple to use. We are planning to get one soon to protect all of our vehicles."